Montana Silversmith is bold and spirited and made to the highest quality. You know when you see Montana Silversmith, with it’s commitment to quality and superior workmanship mean you’re getting the very best. 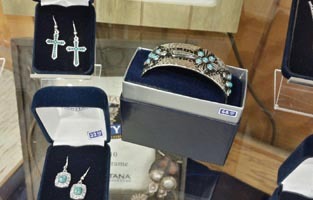 Come by Lochte Feed & General Store to find your finest taste in jewelry that brings style and personality to any outfit! This entry was posted on Thursday, May 15th, 2014 at 5:39 pm	and is filed under News & Updates. You can follow any responses to this entry through the RSS 2.0 feed. Both comments and pings are currently closed.